Hello there my darling readers! I grew up in a house filled with love, laughter and antiques. My dad worked as a designer in a construction company and my mom was a decorator. She never did pursuit her profession outside our home, though on the inside of the house she went wild, lol. In the pre-pinterest era she used to read every décor magazine out there. She even read the Spanish ones though she doesn’t speak a word of Spanish. When I used to ask her about it she said she understood everything nevertheless. Moms! She has an eye for classic beauty and can spot a great antique piece in minutes! Our family fun consisted of her taking us to the bazaar and antiquaries in search of her next bargain. And oh how she loves to bargain! Me and my sister used to dread bringing friends at home. Don’t get me wrong, we loved our home and I’ve always took tremendous pride when someone complimented on our decoration and layout. As kids however it was a bit difficult when every available surface was covered with knick knacks, picture frames and mementos. There wasn’t a square inch of an empty wall in our house I swear! They were all very artistic, never kitsch and very well thought. They just didn’t leave much room to play, or set down a cup of tea for that matter. That’s why I developed into a minimalist. I love empty spaces. I love white empty walls. I also love antiques. They have an innate value as all things that manage to last for decades on end - apart from plastic bottles that is. They only become more beautiful with time. It’s my firm belief that you can combine the two and make a wonderful place to live in. My best advice on how to do it is to keep the numbers low. Use one focal piece in the midst of white space. That can be a carpet, a painting, a piece of furniture or even your fire place. You will still keep your minimalism intact and give the antique the place (and praise) it deserves. If you are sticking to the all white rule, use a colorful antique carpet to add a splash of color. It will accentuate your love for simplicity for sure. You can add an antique painting along with a couple of ultra modern pieces and let them clash. That will instantly become a conversation starter. 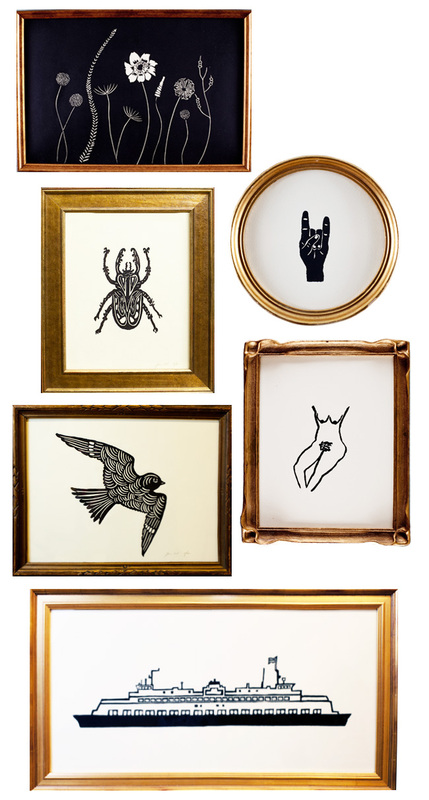 Or you can use an antique frame for you favorite piece or modern art. Or a large mirror that will do wonders for your space. Your focal point can be an antique fire place from an era long past, like the one of Westland London’s Victorian fireplaces. Imagine a white marble chimneypiece decorating your living room. A woodland wreath hangs in the wall and a small photo gallery on the side. Say you have a great piece of furniture your mom insisted you needed to have. Your home is otherwise known as an altar for minimalism. You love your mom and you don’t want to hurt her feelings. You also really like the chair she wants you to have. What do you do? Call your favorite upholstery service and bring that thing into the 21rst century. That way it keeps its value, you keep your minimal décor and your mom happy! Win-win! You can rock a minimal décor by incorporating a couple of antiques. Just keep it simple and don’t turn your house into a museum! What do you say? Do you like antiques? Do you have any in your home?